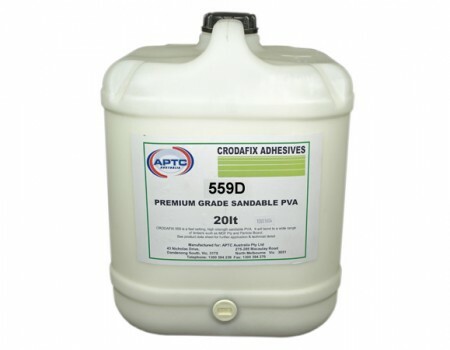 Crodafix 559 is a fast setting, high strength sandable PVA. It will bond a wide range of timbers, MDF, ply and particle board etc. Please Call 1300 394 239 Between 7:30am to 4:30pm Monday to Friday.